DYLANINTHECITY: Lucian Matis Summer Sample Sale! 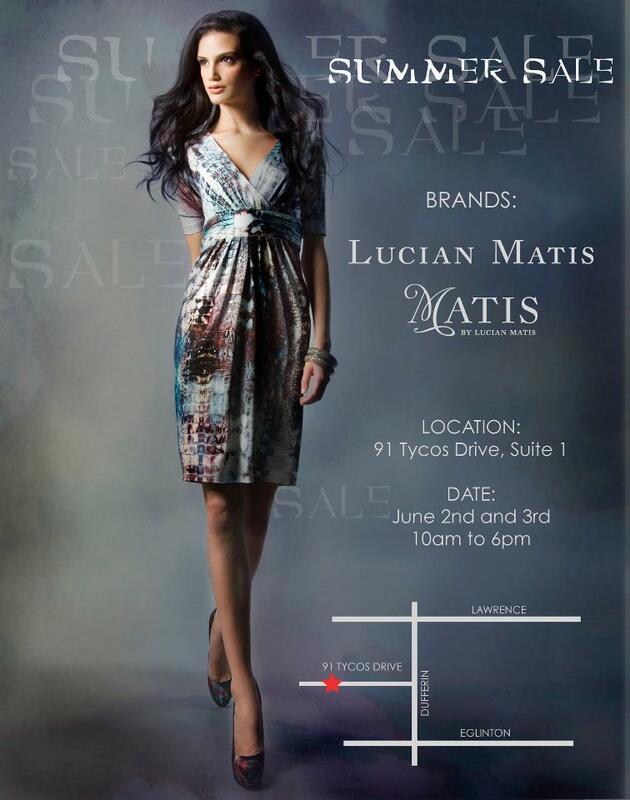 Lucian Matis, our favourite local couturier, is hosting his Summer Sample Sale in just two days on Tycos Drive in North Toronto! The Sample Sale is expected to include pieces from both his signature title line as well as Matis by Lucian Matis. Some of those beautifully patterned, graphic Summer wrap-dresses are almost certain to be in stock! Get there ahead of the crowd and take your pick for your perfect Summer wardrobe!